Elaine Doyle was found dead in a lane near her family home in Greenock in 1986 after she had been on a night out. She was 16. John Docherty, now 51, was convicted of the murder after a trial before Lord Stewart and a Jury at the High Court in Edinburgh in June 2014 which lasted for more than ten weeks. Docherty had denied carrying out the murder. His Counsel, Donald Findlay QC has indicated that his client remained “adamant” of his innocence. In advance of the trial, the defence lodged a list of 41 possible incriminees who could have carried out the crime, some of whom had been of interest to the police in the course of the original investigation. There was also significant criticism of the way the original investigation was handled by police officers, suggestion of contamination of the crime scene and a generally shambolic approach to the preservation of evidence. Docherty was arrested in 2012 after the case was subject to a ‘cold case’ review. That revisiting of the case allowed for the recovery of DNA samples, a procedure which wasn’t possible in 1986. A sample recovered from Miss Doyle’s body was compared with a sample of DNA later provided by Mr Docherty; the apparent match between those samples is understood to have been the pivotal aspect of the prosecution case. It has now been announced that John Docherty's challenge may proceed ‘without limitation’ after his defence lodged legal submissions that no reasonable jury, properly directed, would have returned a guilty verdict. Leave to appeal had been granted at an earlier stage, but on limited grounds. It is highly unusual for for a jury’s verdict to be overturned on appeal on the basis that it was ‘perverse’ or unreasonable. The Appeal Court has traditionally been reluctant to interfere with the sanctity of the jury’s verdict, particularly where there cannot be said to be fundamental flaws in the legal directions given to the members of the jury by the Judge before they are sent out to deliberate and consider their verdict. John Docherty is also appealing against sentence. He was sentenced to a mandatory term of life imprisonment and the Judge ordered him to serve a ‘punishment part’ of at least 21 years before he can be considered for release on parole. Mr Docherty and his legal team will now be able to present their full case to a panel of three senior Appeal Court judges in Edinburgh. The Appeal will involve careful scrutiny of the Judge’s directions to the Jury and it will be for the Court of Appeal to determine whether it can be said that, in the event that those directions were sound, the jury nevertheless reached a verdict which was wholly unreasonable. No date has yet been fixed for the Appeal. 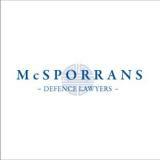 At McSporrans, we are specialist criminal defence lawyers. 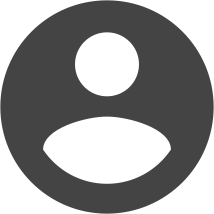 We specialise in all aspects of criminal law from initial prosecution, criminal representation and criminal appeals. We are experts in Scots law and can utilise our years of experience to provide you with the best specialist advice for your circumstance. Our Edinburgh based team of solicitors are available to clients 24 hours a day and treat every enquiry with the seriousness it deserves. If you require legal representation or advice regarding any aspect of criminal law, our team of solicitors can help. Get in touch today using our online contact form or call us 0131 557 9151.